Executives at a leading US healthcare firm had anecdotal evidence that they were not realizing the full contractual revenue on many transactions they fulfilled. Identification of the primary causes of revenue leakage not only helped increase revenue realized but also prevent future leakage. Executives at a leading US healthcare firm had anecdotal evidence that they were not realizing the full contractual revenue on many transactions they fulfilled. 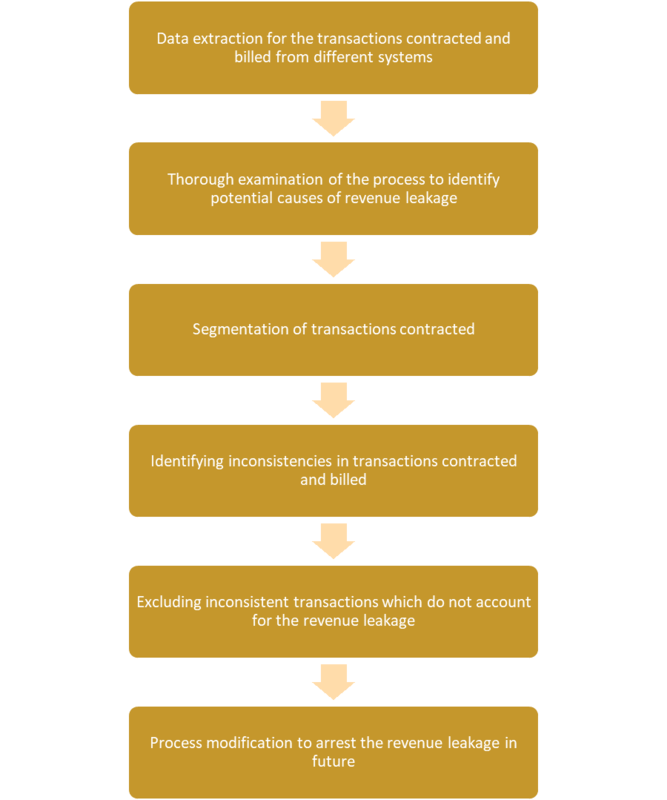 Their goal was to identify contracts not billed at full contractual value, uncover potential causes of this revenue leakage and develop an optimized systematic approach to minimize leakage in the future. An organization may have multiple systems to capture various client contracts and business transactions. Therefore, it was initially necessary for us to combine data from various sources to obtain a full view of orders fulfilled and billed. This helped us identify potential inconsistencies across databases. Lack of standardization in contractual and transactional data entry was identified as one of the main contributors to the revenue leakage. We then identified transactions which were inconsistent across systems for each segment. This led to the development of the initial set of clients and transactions which may be contributing to the revenue leakage. We followed this analysis by developing a mechanism to identify all potential paths leading to potential leakage, and modifying the contracting, servicing and billing processes to flag these before they are implemented. Through the implementation of a robust contract database, updated pricing tables including exception cases, and an ongoing monitoring system, we were able to reduce ongoing leakage by over 90%. Our analysis led us to conclude that lack of standardization in contract tracking, inconsistent escalation of service issues, and lack of documentation of pricing levels were key contributors to the revenue leakage. With the help of this process, we helped our clients identify almost 2% of total revenue as potential leakage. It also helped them make necessary improvements in their business systems and processes to ensure they capture all contracted revenue going forward. Discover how our 4-step process has helped clients avoid confusion and succeed in the marketplace.